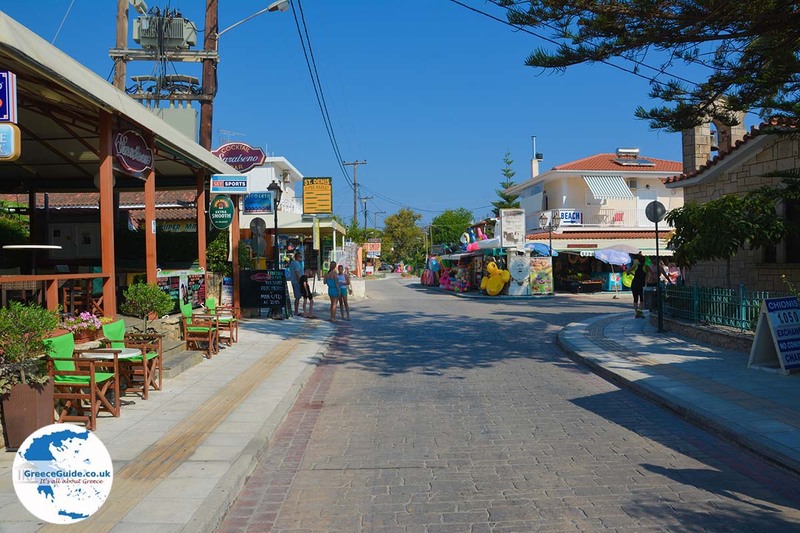 Tsilivi. 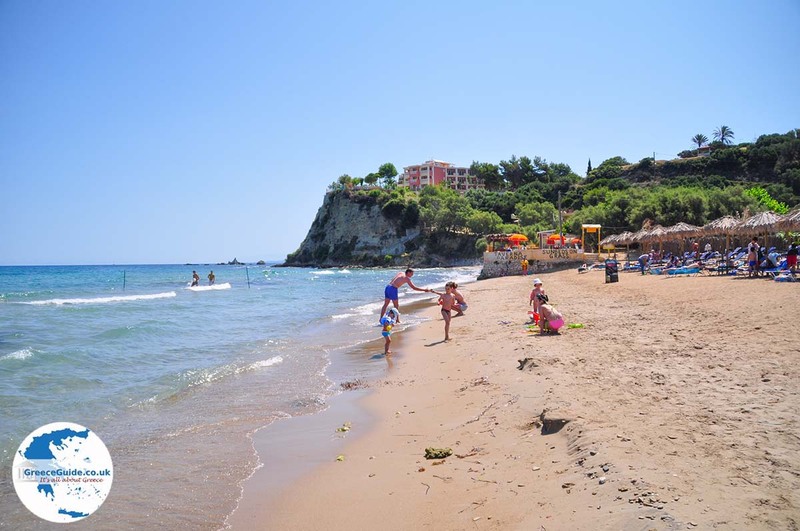 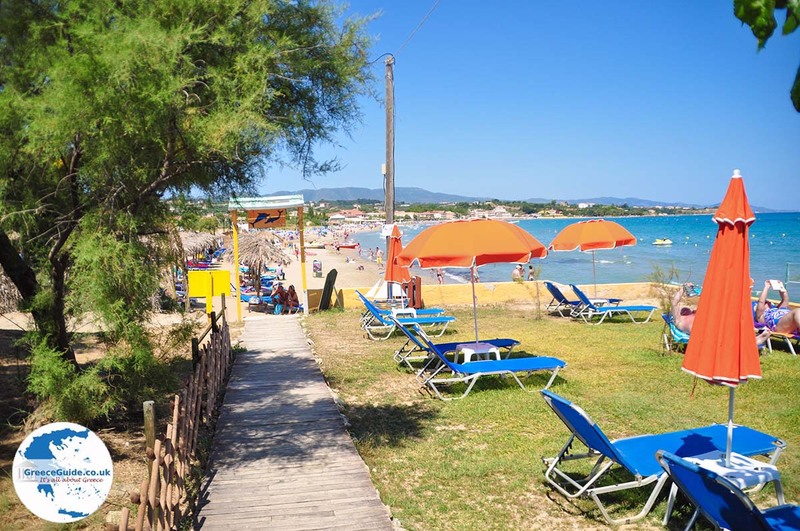 Tsilivi is located 6 kilometres north of Zakynthos Town. 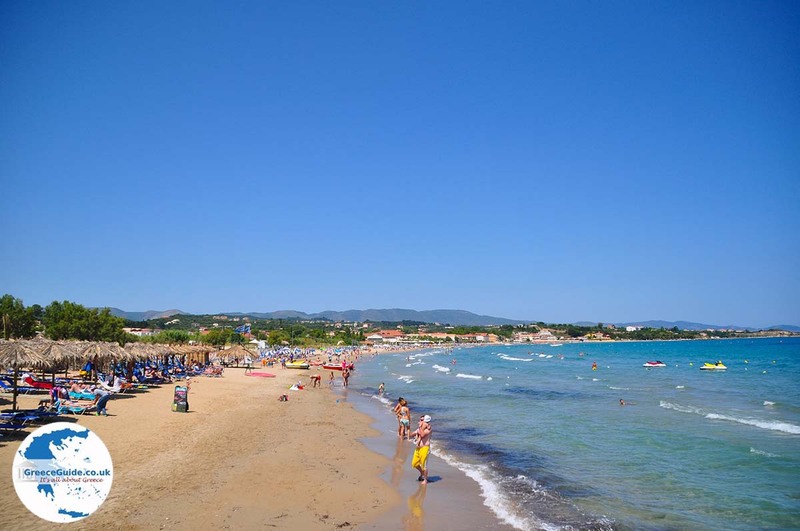 It has a two kilometre long sandy beach and the sea water here is shallow. 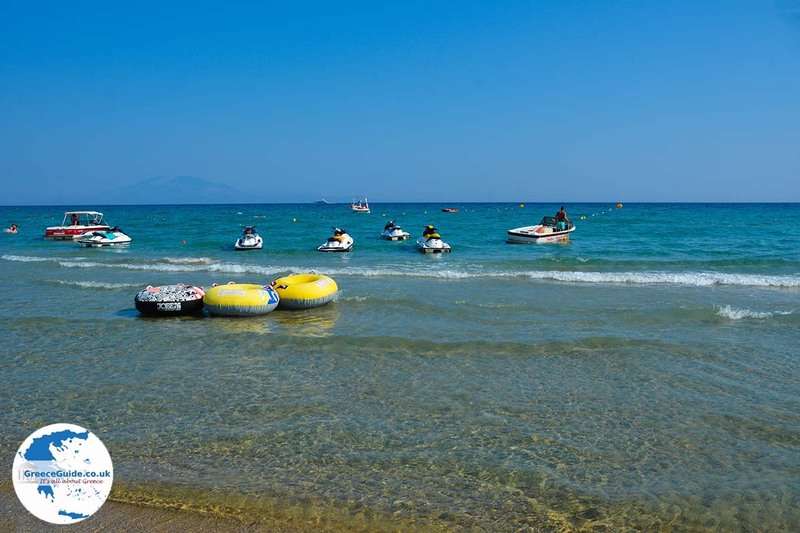 The beach is a wonderful place for all kinds of water sports. 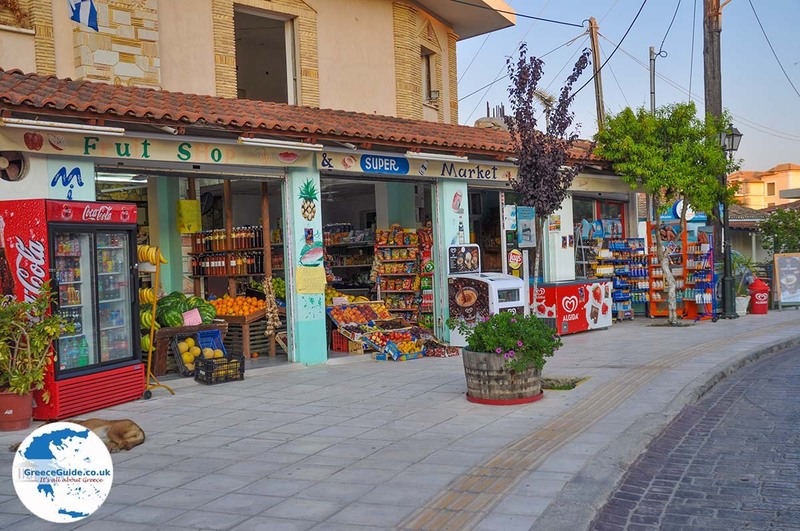 Tsilivi lies in the middle of a green area(olive trees, vineyards) and has a very nice centre with lots of shops, souvenir shops, bars and tavernas. 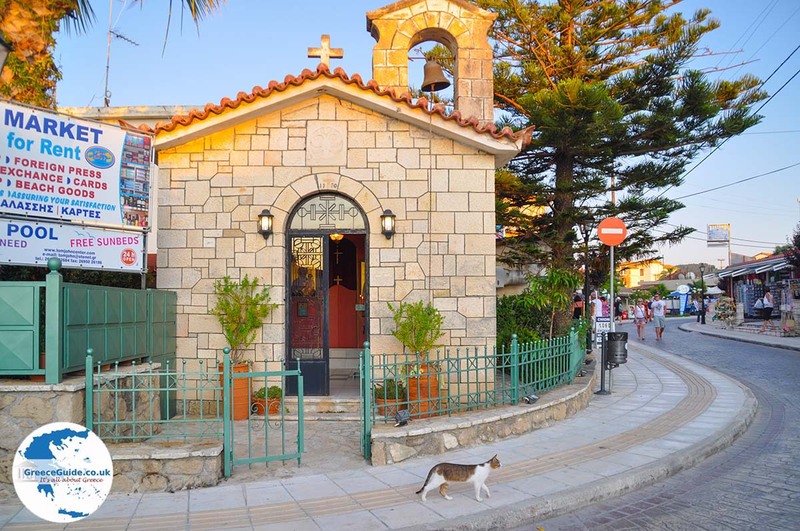 The last decade it has become one of the most touristy places on Zakynthos, yet it has retained its traditional Greek style and is very popular for the real Greece goers. 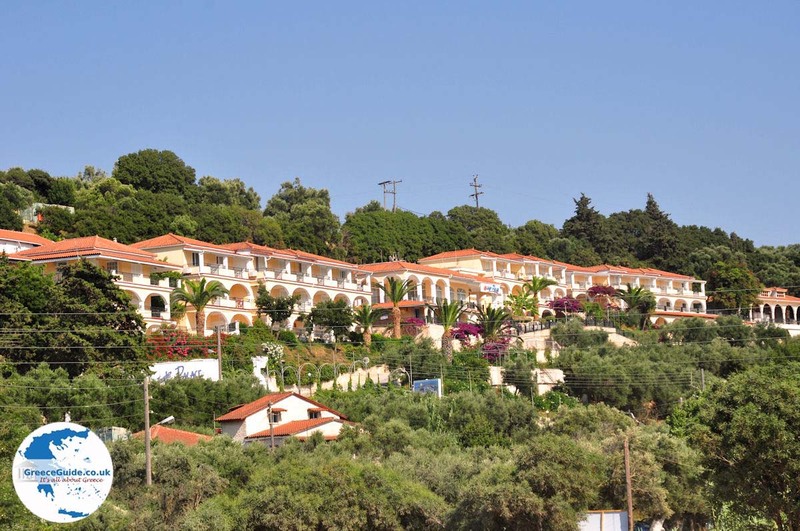 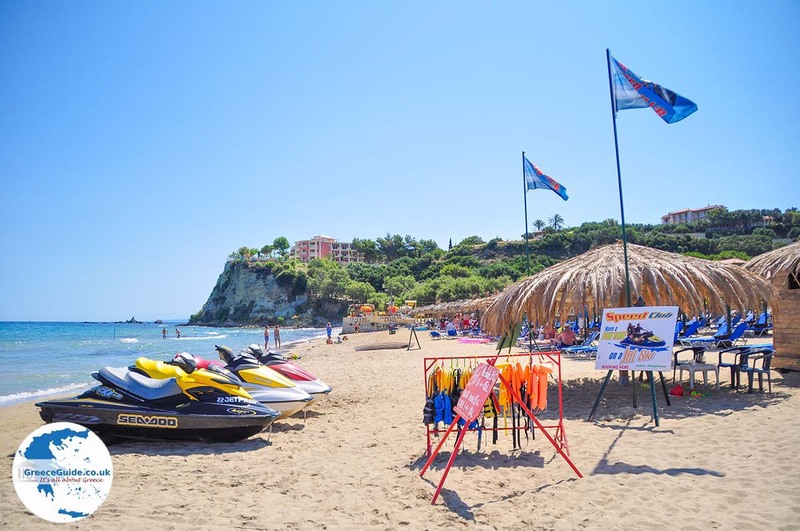 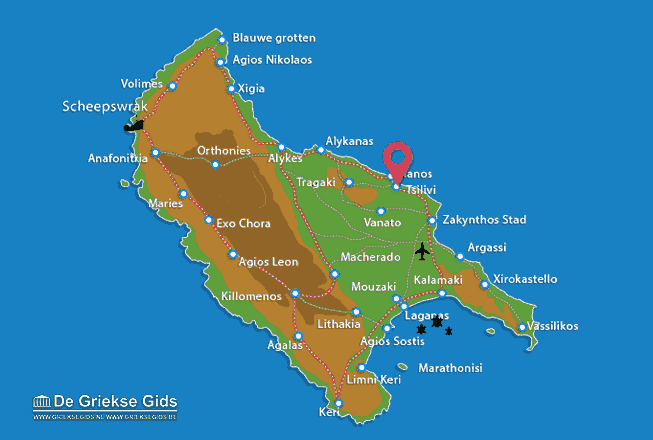 Zakynthos: Where on the map is Tsilivi located?